From 1st October 2018, the Queensland Government introduced new laws to tackle the issue of combustible cladding on residential and commercial buildings. The new laws place an onus on building owners to undertake investigations on the cladding and register their buildings with the Queensland Building and Construction Commission. This affects all Class 2 to 9 buildings that were approved after the 1st January 1994 that are of Type A or Type B construction. The Professional Certification Group has the experience and expertise to assist and guide you to comply with new combustible cladding laws by helping you register, identify, sample, test and prepare fire engineering safety reports. Our team includes experienced building certifiers and an RPEQ registered Fire Safety Engineer. The owner must complete the combustible cladding checklist – Part 1 and submit through the QGov Portal. This step must be completed by 29 March 2019. Step 2: Engage a building industry professional to inspect the building to inspect and provide a written building industry professional statement. The owner must then complete the Part 2 Checklist and submit through the QGov Portal. This step must be completed by 29 May 2019. Step 3: Where a building is identified as containing combustible cladding in Step 2, a fire safety engineer must be engaged to complete the building fire risk assessment and fire engineer statement. The building owner must complete the combustible cladding checklist – Part 3A and submit through the QGov Portal by 27 August 2019 registering the details of the Fire Engineer engaged. This step must be completed by 3 May 2021. 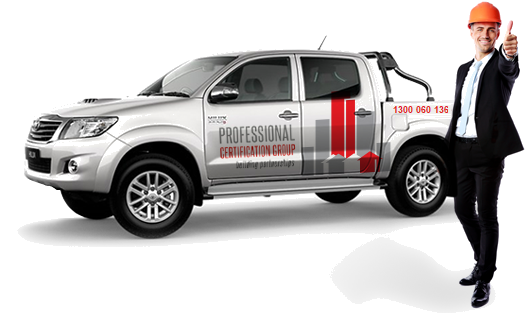 At the Professional Certification Group, our commercial team has the experience and expertise to assist and guide you through the entire process through registration, identification, sample testing and fire engineering assessment to meet the legislative requirements. We are able to collect samples when onsite and send for laboratory testing to confirm the flammability and properties of the material to provide the most accurate information possible.